Robin Williams in Dead Poets Society changed my life forever. Before the movie, I had no idea what I wanted do with my life. Some days I wanted to be a doctor, on others I’d aspire for whichever career was my elder sister’s favourite at the time. But as the credits rolled in at the end of the film; I knew I wanted to be ‘Mr Keating’ and connect with people the way Williams’ character had. I wanted to teach and perhaps be able to influence my students’ lives the way Williams had done in the movie. Without realising it, across oceans and continents, Robin Williams influenced the entire trajectory of my life. This week, through his death in an apparent suicide caused by depression, the man, not the character, influenced me again. I have suffered from depression as well. And as an educator, I had witnessed many of my students struggle with the condition. 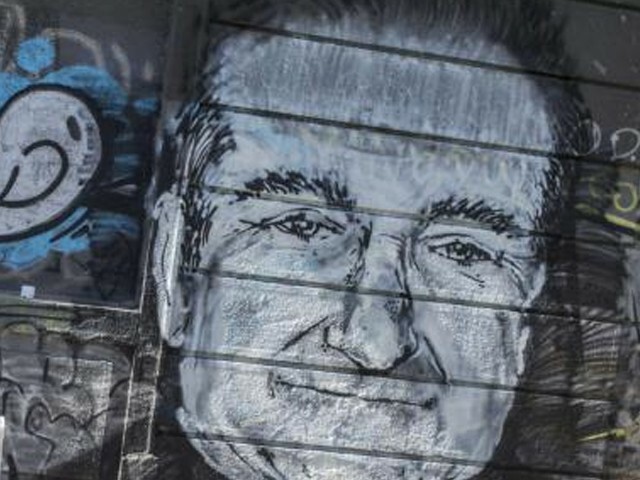 Williams’ death, though geographically and culturally far away from the world my students and I inhabit in, made me question the silence surrounding mental health issues in Pakistan. My personal relationship with depression began as my marriage broke down in 2009. I was in a new country without friends or family, struggling to figure out whether my concerns were genuine or merely an inability of a ‘spoilt brat’ to deal with a new situation. The people around me at that time believed the latter, and despite being an educated woman with four years of academic study in Psychology, I doubted my own self. I saw each and every sign; lack of appetite, excessive sleep and a general disinterest in life. I, who was proud of being a self-aware individual, noticed it all and blamed it on myself. It took a legal separation, a move back to Pakistan, loudly voiced concerns from my friends and family, coupled with therapy, to convince me that I had a genuine problem. My mother still remembers me asking her anxiously if I was ‘pagal (mad) like they said’ or not. It took me three hard years to work through my issues. Despite my education and exposure, it took me three years to forgive myself and reject the stereotypical attitude I held towards my own illness. I was fortunate to have a strong and educated family that got me the right kind of help at the right time and helped me believe that I wasn’t being a quitter, that there genuinely was a problem that I had to face. Yet, I was also aware that this was something better left unsaid. My ex-husband had already labelled me ‘mad’; placing the blame of my marriage’s demise squarely on my ‘abnormality’. We hid my counselling partly out of fear of proving him right and partly because we were aware that our society was not ready to accept mental health issues as valid diseases. I still remember arguing with my brother when I refused therapy. He would get angry at my narrow-mindedness and keep convincing me to seek help. I was known to be an open-minded and accepting individual when it came to my students, but now I found myself unable to come to terms with my own problems. I saw my depression as a weakness; an abomination. I felt like I was making excuses and that my feelings were invalid. Most people wouldn’t even believe me, because to them I seemed like a chirpy, happy and ‘normal’ person. Little did they know that the chirpiness was a facade, one that was often physically exhausting to maintain. After my own experience, I became more receptive to similar signs in my students. Some of them seemed to be struggling with symptoms of depression. Yet, more often than not, if I mentioned it to their parents, they’d respond with denial and blatant rejection. The stigma attached to mental health came back to haunt me, this time in the shape of my students’ struggle. But today is the first time I have had the courage to talk about my depression publicly. As I read the reactions to Robin Williams’ death, I see a common thread running through all of them; disbelief; disbelief that a man who seemed so happy and had fame, fortune and respect, felt so alone and desperate. How could a person whose happiness infected billions across the world be so unhappy? This is a question I was asked many times as well. While people understood that I had been in a bad marriage, my public image was of someone always happy, someone who had everything. When a few years after my divorce, I won the Fulbright Scholarship and a place at Harvard, I was often told that now I had nothing to be sad about. If I dared mention my depression or the fear that it would reoccur when I moved to Boston to pursue my degree, I was made to feel ungrateful for the opportunities I had been blessed with. Those of us with depression are not ungrateful. Nor are we oblivious to the many other blessings that our lives contain. Yet, some event in our lives or the behaviour of those around us pushes us into a dark place. While the sun continues to shine on those around us, we walk around with a dark cloud above us. No matter how hard we try, no matter what we tell ourselves, it doesn’t go away. At such times, we need society to be supportive. Often family and friends will try to become counsellors. While that may help in small measures, they lack the objectivity and training of a professional psychiatrist or psychologist. Not only that, but often family and friends, no matter how well-meaning, may unconsciously use derogatory terminology. If the people around you make you feel like your emotions are invalid, that everything you do is somehow wrong or your own fault, the situation can get worse. I was an adult and yet it was difficult for me to face my issues. So I often wonder about the kinds of pressures our younger generation must be facing. The world is often quite cruel, and with the anonymity offered by cyberspace, bullying and harassing someone is easier than ever before. Zelda Williams, Robin Williams’ daughter, was forced to delete all her online profiles after receiving hate messages about her father’s death. Imagine a person, already facing a difficult situation, being further victimised at every turn. The repercussions can be extremely dangerous, if not fatal. What worries me most is our society’s attitude towards mental health. Despite a growing awareness of physical health issues, we still treat mental health problems as a figment of the patient’s imagination. People with depression are either labelled overly-sensitive or in extreme cases, mad. Pakistani society needs to move away from this attitude. Mental health issues are as real as physical issues. Treating such individuals does not in any way mean enabling them to be ungrateful or self-piteous. People with depression are not attention seekers, nor are they ungrateful. Nor is everyone struggling with depression crazy. Outward appearances can be deceptive. Seemingly successful individuals often hide feelings of extreme loneliness and unhappiness. Rather than trivialising their feelings, we should get them help as soon as possible. Timely interventions can work wonders. Let us try to remove the taboo associated with mental health issues and make such conversations part of our collective discourse. Let us not sweep these issues under the carpet until another suicide shocks us into re-evaluating our collective attitudes. A Fulbright Scholar and an alumna of the Harvard Graduate School of Education. 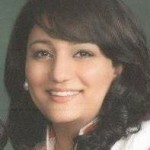 Currently based in Lahore and works as a Curriculum Developer and Teacher Trainer in a large private educational system. Glad to read your happy ending…that you took treatment and saw light at the end of the tunnel.Hope,the story of your journey,enlightens others and reduces the stigma attached to depression & people begin to recognize it as a clinical problem rather than anything else. I am a 17 year old girl, currently pursuing my high school diploma. I am very ecstatic and all the while grateful to you for raising your concern and voice over this grave issue! I am pursuing Psychology along with other subjects right now, and also wish to become a psychologist in the near future, InshaALLAH. I really look upto you and wow, am impressed by your ability to come out of darkness into a new light and for getting admitted to Harvard inspite of your depression. Depression is, fortunately, treatable worldwide; but unfortunately, it kills me, too, to bear such a stereotypical outlook and defamatory views thrown upon mental patients or even mental health practitioners in Pakistani society. Thought provoking and an eye opener.